Jack Dykinga contributed the Sonoran Desert image that graces Arizona Highways' license plate. Arizona's specialty license plates raised $9.8 million for the state's charities and public programs in the recently completed fiscal year, the Arizona Department of Transportation said last month. The specialty plate program, established via state law in 1989, allows motorists to choose from license plate designs tied to a variety of organizations, including Arizona sports teams, universities and other groups. The plates typically cost an additional $25 per year; of that amount, $17 goes to the organization (or a charity associated with that organization). As you probably guessed from the image accompanying this post, Arizona Highways has a specialty plate; it features a Sonoran Desert photo by Jack Dykinga. It's among the best-selling plate designs; if you've driven Arizona's highways, you've probably seen it. 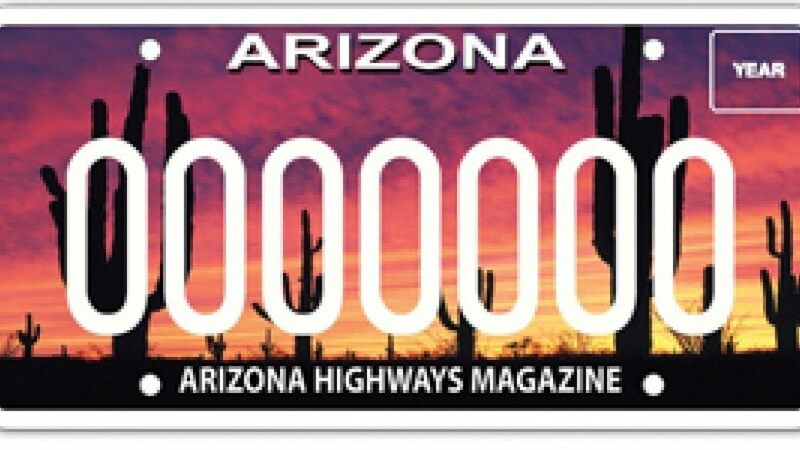 Sales of the plates help support the magazine's mission of promoting travel in Arizona. To learn more about the program, visit servicearizona.com.